This blog is mostly full of products which I absolutely adore, I tend to only want to to tell you about my favourite things, but every now and then I try some things and, well, we just don’t get along. 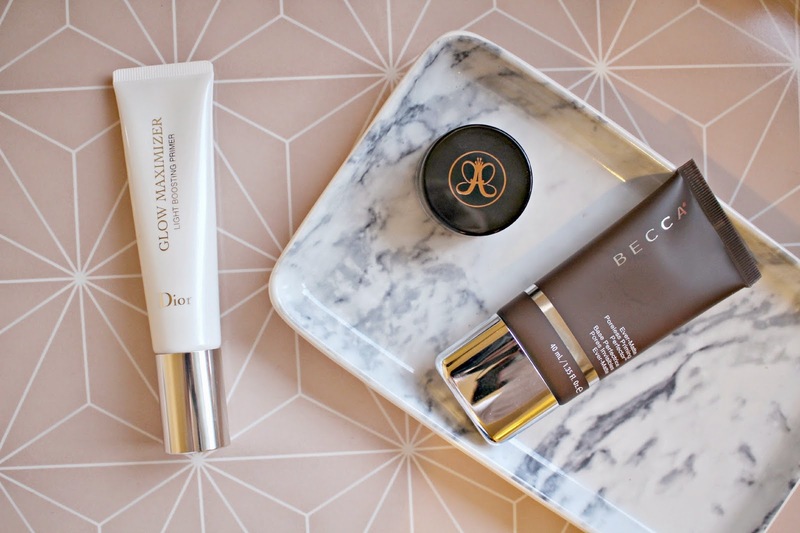 There’s a lot of talk about honesty in blogging, so I thought it would be interesting to let you know about a few products which just don’t float my boat! I’m really fortunate to be able to try out loads of products and I try everything out for at least two weeks before blogging about it, so only the cream of the crop usually make the cut! I chose the title of this post as Not For Me, because I know that these products will be perfect for many people. Two of them in particular have had such a huge hype in the blogging world over the past year, but for me they just didn’t work out. Firstly, the Dior Glow Maximizer Light Boosting Primer. I actually loved this for the first month or so, over Summer it did give me the glow that I was after, especially after returning from Turkey with a lovely tan! Recently however, I have been finding that it’s been making me look too shiny and shimmery. It can be used to highlight certain areas, but for me it’s too much precision planning and I prefer to sweep on a powder highlighter like the Hourglass Ambient Lighting Powder. Another product which saw a hype overload in 2014 is the Anastasia Dip Brow Pomade. It does do what it promises in that it stays put, doesn’t fade or smudge and so it would be great if you have oily skin or live in a particularly humid climate. But for me, I find it hard to make my brows look natural with the Dip Brow. My blonde brows are fairly sparse and they just look like I’ve felt – tipped them on when I use this. I much prefer the Brow Wiz, also from Anastasia Beverly Hills – the ultra fine pencil gives you more control over the shape you create, and you can draw in the fine hairs for a much more natural looking brow. Finally, and most disappointingly for me, the BECCA Ever-matte Priming Perfector. I told you in my Sephora Haul how I bought this on a whim, suffering from un-predictably oily skin when in New York, so at that time it seemed like a saviour product with its promises of targeting the cause of oiliness and keeping you looking matte for up to 12 hours. I used this first when I got back home, and as soon as I’d applied it, my skin felt dried out. I’d had a cold the week before, but when I applied the primer, the skin around my nose instantly went dry and peely again. I felt like I just wanted to give my skin a good scrub and apply a thick layer of moisturiser, and that’s exactly what I did! I tried it out again after applying a stronger moisturiser, but still my foundation looked dull, and there was no radiance at all in my complexion. If you have very oily skin, then this primer could be the one for you, but if you’re just sightly oily, or have combination skin, then this primer is just too much. As I said, these products are ones which didn’t work out for me, and I know they will work perfectly for other people, so don’t be put off trying them! I gave the Dior Primer to my friend Vicky who absolutely swears by it, and I’ve seen Beauty Bloggers create perfect natural looking brows from the Dip Brow – maybe i’ll give it another go! Are there any products that just aren’t right for you?